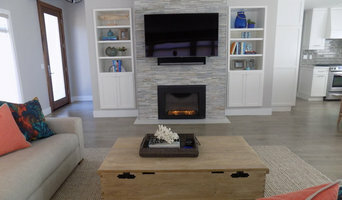 Impact Interiors is a full service design firm based in Pismo Beach, California founded on the simple idea that people are inspired by beauty and influenced by their surroundings. We work closely with clients, architects, contractors and builders from concept to completion to transform your vision into reality. 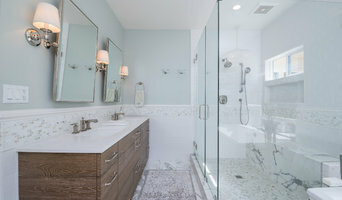 From residential to commercial applications, we have worked many years creating and transforming homes across the Central Coast and Central Valley. Let us help you transform your vision into something beautiful and timeless. We design for the way you live. 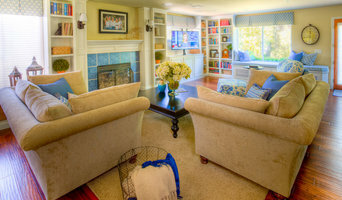 Since life is complicated and fast, it’s important for homes to be easy, uncluttered and comfortable. Practical beauty is the latest trend. We design from the ground up, or simply help you choose paint colors. What ever your needs, we can accommodate. Old World Rugs has been your rug experts on the central coast for 40 years. Our family continues to curate a beautiful selection of new, traditional, vintage, contemporary, and custom rugs in our downtown shop. We provide design consulting, home trials, and custom rug sizes. We work closely with designers and have a program to offer designers samples and specialty pricing. We have a professional cleaning and repair facility located in SLO, where we hand-wash and care for all types of rugs. We provide pick up and delivery service on the Central Coast. We look forward to working with you! Visit us at our downtown San Luis Obispo showroom, Tuesday - Friday 10:00 AM - 5:00 PM and Saturday 10:00 AM - 4:00 PM. Closed Sunday and Monday. INNER LIGHT USES EVIDENCE BASED DESIGN TO GUIDE CLIENTS IN ACHIEVING SENSIBLE, DISTINGUISHED SPACES. WITH THE GUIDANCE OF INNER LIGHT, OUR CLIENTS WILL PARTICIPATE IN THE MOST PRACTICAL INTERIOR DESIGN PROCESS. BY PROVIDING TALENTED HUMAN RESOURCES AND HIGH QUALITY PRODUCT, WE ARE ABLE TO DELIVER INNOVATIVE DESIGNS THAT WILL INSPIRE LONG LASTING EXPERIENCES. Come visit us at Abbey Carpet & Flooring of SLO, where we specialize in providing quality full service to much of the beautiful Central Coast. With 50+ years of combined industry knowledge, our staff is happy to help with any of your flooring needs. Our show room boasts a well-rounded selection of luxurious carpet, engineered hard woods, luxury vinyl planks (L.V.P. ), laminates, and commercial carpets. Bands include, but not limited to; Mohawk, Shaw, Home Legends, CoreTec Plus, Mannington, California Heritage, Tarkett, Quick Step, etc. Let our lineup of professional fully licensed, bonded and insured installers help ease your mind and lower stress commonly accompanied with remodels. No job is too small nor too large. IAN SAUDĒ STUDIO integrates design, sourcing and production services to assist homeowners, hospitality companies, developers, architects and other design professionals to realize interior environments that enhance our humanity and fulfill our common potential. Since the majority of our lives are lived indoors, inner space frames our day-to- day existence. Therefore, interiors should not merely be functional or serviceable but also speak to our deeper aspirations — our hopes and dreams. A well wrought interior environment supports us by fostering a continued sense of appreciation, inspiration and well being. At best, it should both heighten our awareness and satisfy our senses, while affirming our subconscious need for purpose and belonging. Towards this end, IAN SAUDĒ offers full-service interior design, planning and project coordination services as well as the development and production of unique architectural and design elements. Because of our considerable experience in sourcing and product development, both international and domestic, IAN SAUDĒ is uniquely positioned to curate creative custom solutions for projects of any scale. Raised on California’s Central Coast, Ian graduated from U.C. Berkeley in 1990. Several years after graduation, he moved to the Himalayas to study Buddhist philosophy and meditation, where he subsequently lived for more than a decade. It was there that he became inspired to embark upon a career in design. Through his many travels and studies abroad, Ian’s work has come to reflect a broader sense of history and awareness of international movements in art and design. He brings a wealth of expertise and insight to creating sophisticated designs that showcase his unique aesthetic sensibility, subtly referencing both Eastern and Western artistic traditions in a way that is thoroughly contemporary. Working closely with artisans and craftspeople throughout Asia and elsewhere over many years, his work reflects a consistent respect for hand craftsmanship and honest materials that convey an inherent quality and integrity. In 2006, Ian returned to California to live and to launch a new brand, IAN SAUDĒ: IS. IS channels the energy and potential of the present moment into an ever-evolving collection of luxurious lifestyle pieces including: bespoke furniture, custom natural fiber area rugs, leather furnishings, artisan tabletop items in bronze, steel and precious metals, as well as original artwork, decorative objects and fine jewelry. heather tissue design provides full-service interior design consultation especially for projects choosing sustainable materials and practices. I design interior environments to create the haven you envision, combining the right mix of colors, textures, and materials for a healthy, beautiful and functional space. Yvette Chaix Interior Design provides full-service interior design consultation. 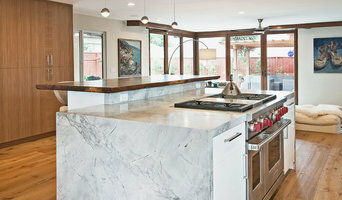 Yvette designs thoughtful, livable spaces with timeless designs. Eclectic Design, San Luis Traditions, founded in 1989, was the first home furnishings boutique on the Central Coast. Traditions strives to be the “One-Stop-Shop” for all of your design needs. We carry a variety of premier home furnishing lines such as American Leather and Lee Industries and numerous designer furnishings. We have exclusive relationships with many of the top manufacturers and can source just about any product for your unique design palette and needs. We sell to the entire US and Canada, and in person at our showroom, located in beautiful downtown San Luis Obispo. We offer local SLO county residents a variety of quality design services and home furnishings that reflect the fresh, classic Central Coast California style, and honors the importance of your personal environment. Creating a coordinated and harmonious space in which the architecture and visual aspects of the interiors are inviting, timeless and pleasing to mind & body. Full service design specializing in space planning, furniture selection, surface material selection, decorative lighting, decorative pillows, window treatments, accessories, art selection, children's areas & eco friendly living spaces. Full portfolio available upon request. Gredsa Johnson of Chic Interiors, a Central Coast-based interior designer has been designing residential and commercial interiors with signature style, understated charm, and seemingly effortless elegance. Gredsa infuses each project with accents of her own eclectic and impeccable tastes–tastes that embrace the old and the new, the simple and the ornate, the fashionable and glamorous and the classic and stately. Most importantly, Gredsa imparts her inimitable style while diligently respecting–and even helping to deduce and shape–her clients’ tastes and lifestyle needs and the stylistic demands of the architectural space. Gredsa has a diverse portfolio, designing residential interiors for several high-profile Central Coast residents and business clients locally. 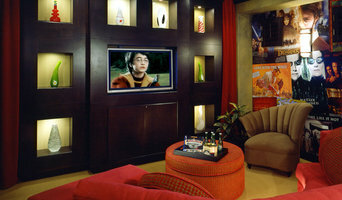 She has also designed commercial spaces in Los Angeles and surrounding areas. Knight's Carpets & Interiors, Inc.
Gordon and Sheryl Knight, owners of Knight’s Carpets and Interiors, opened their first floor and window covering business in Aptos, CA in 1978. In 1991, they moved their store to beautiful Paso Robles. The Knights are well known on the Central Coast for their commitment to the community, and they are proud of their store and the reputation they have earned. Knight’s employees are continuously educated on the latest trends, styles and products. And our installation team brings unmatched professionalism and attention to detail. They follow all manufacturers’ recommendations, ensuring enforcement of your warranties and a worry-free future. The owners and installers have over 100 years combined experience in the interior business. Knight’s Carpets and Interiors has the unique style, innovative ideas, and distinctive fashion to make your family, friends, and guests impressed by the beauty of your home. We have a long list of happy satisfied customers (that are happy to serve as references). Come in and become one yourself.